Finally, Aangan‘s followers can peacefully enjoy the show now that the favourites of fans, Jameel and Chammi have made their first appearance in the latest episode! The internet is surely loving it! The first 3 episodes of Aangan focused on the development of each character and made us relate to each of them in their own special way. However, things moved pretty fast in the fourth episode, where the sudden demise of Maalik (Abid Ali) lead to the separation of the whole family. As unfortunate as it sounds but the best part of yesterday’s episode was that our favorite characters Jameel and Chammi are all grown up now and we got a few glimpses of the oh-so-amazing chemistry of our favorite onscreen couple, Ahad Raza Mir and Sajal Aly. Where Jameel is an aspiring poet and seems quite rough and tough, the gorgeous Chammi is a jolly outspoken girl – they make a perfect couple! 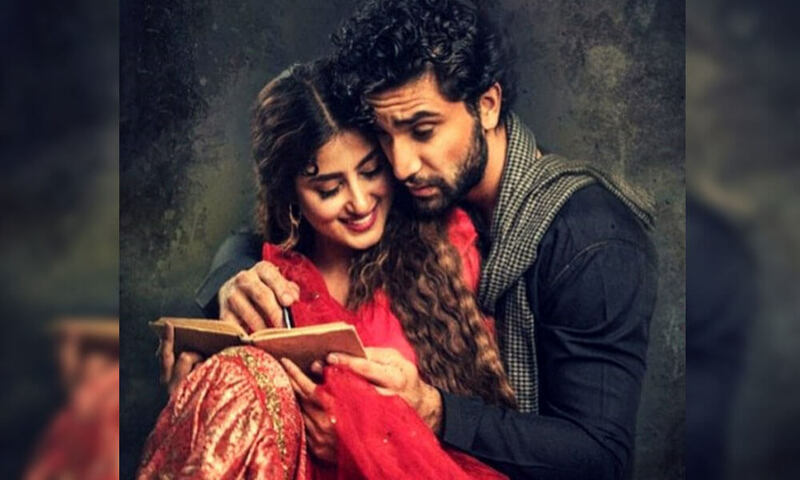 Ahad and Sajal only shared the screens for a few scenes, but, it was enough to calm the cravings of their die-hard fans who have been impatiently waiting to see them. And the social media feeds are filled with their pictures because Aangan is trending everywhere! And they just can’t stop drooling over Jameel! The fact that Aangan is not available on YouTube has got many fans upset but seeing their favourite onscreen couple after a long time on TV screens diluted all the anguish away! Apart from the drool-worthy chemistry of Ahad and Sajal, another interesting fact of the show was that our favorite Ahsan Khan is going to play two different characters in the drama. Ahsan Khan, who is playing the role of Subhan, will now also be seen as Safdar, Subhan and Salma’s son, who has been brought up by his uncle, Mazhar (Omair Rana) after Salma’s death. However, poor Safdar is not well-liked by his aunt (Madiha Rizvi) who keeps taunting him on the smallest of things. The promo for the next episode shows that another fan favorite Mawra Hocane as Aaliyah, the narrator of the story of Aangan will make her first appearance and we are already intrigued! Previous article5 Best Things you will see at Karachi Eat this Year! Next articleGame Of Thrones Season 8 Trailer is Out & is Breaking the Internet!